A.O. Robins 1924 18 72 6678 10 minutes from downtown. 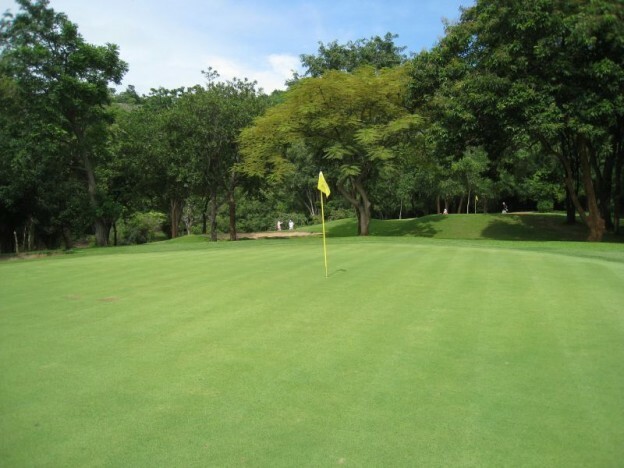 Royal Hua Hin Golf Course is Thailand’s first 18-hole championship golf course, the golf course was developed at the request of King Rama V1, himself a keen golfer over 80 years ago in 1924. Major renovations were carried out in the 1980’s bringing the course up to present day standards. A round of golf here is a truly memorable experience as players are continually faced with majestic views of the Gulf of Thailand. The par-three 18th is a hole to behold, with a beautiful Thai temple forming a picture worthy backdrop to this memorable experience. A testament to the club’s age, and the Asia of that period is the sight of the old Hua Hin, Bangkok-Singapore railway station that lies adjacent to the clubhouse, contributing an air of elegance to the experience.